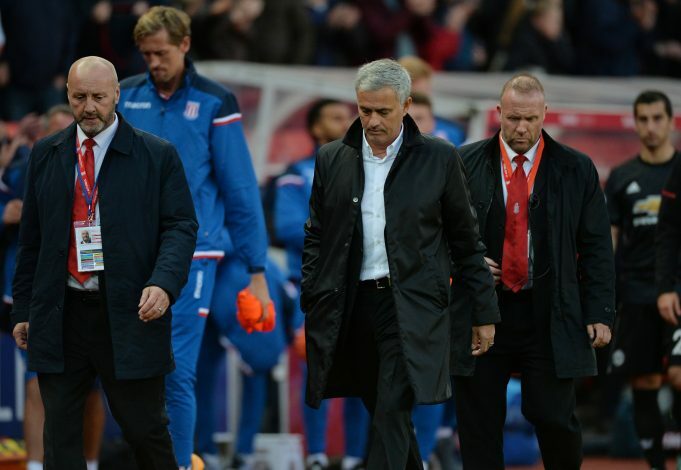 Nobody was angrier than Jose Mourinho following Manchester United’s dismal 2-1 loss against Huddersfield Town on Saturday. The shortcoming was their first Premier League defeat of the season, and followed on the heels of another disappointing fixture against Liverpool earlier, where the Red Devils were held to a boring 0-0. The Portuguese tactician seems to have lost patience with some of his players, and is believed to have delivered a strongly worded message following last weekend’s defeat in the dressing room itself. As per Daily Mirror, the illustrious boss was strong in slamming his players for the performance. He questioned their lack of heart in the face of defeat as well as the reason behind an utterly below par performance. The lads certainly were unable to hold a candle to other impressive showings elsewhere, and thus, were unable to answer their manager either. Fans too, will be utterly disappointed with their side, which had started the season in an incredible fashion, true to their goal-scoring past. However, their defeat on Saturday, coupled with City’s comfortable 3-0 against Burnley, ensured the Citizens inched 5 points ahead of second-placed United. Moreover, Spurs’ triumphant battering of Liverpool ensured that they are now tied at points with the Red Devils, held back only by goal difference. The sight seems like a familiar one since the departure of Sir Alex Ferguson, where the Mancunian giants held an initial grip at the start, but then saw their Premier League campaigns go haywire. Mourinho and company will certainly have a lot of thinking to do in the face of their upcoming fixtures, and shouting alone won’t solve problems. Their start has been impeccable, and the club must seek to find a way back to winning ways, despite the injuries.